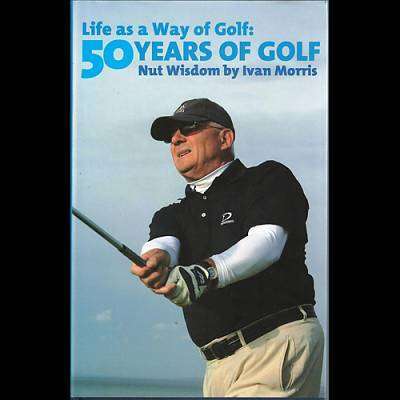 'Ivan Morris may be a certified golf nut but he has an enviable flair for playing golf and writing about it." - Greg Norman. "Great entertainment and lovely, knowledge filled interludes. Even I, having read something like 3000 golf books, came away with lots of interesting bits that were new to me. Nobody does golf better than Ivan Morris." - Pat Ruddy, Golf Course Architect, Author and Owner of The European Club. "Whilst in a former life Ivan Morris was a fairly conservative Pringle fellow, he has metamorphosed into a genuine golf nut, and as nuts are by no means normal guys, the ghost theme in his metaphysical treatise, The Doonbeg Ghosts, did not surprise me. Folks, it absolutely wowed me for this is a brilliantly conceived odyssey of love which could only come from a man obssessed with history of golf and the giants who shaped its destiny." - Nick Barry, Golf Digest Ireland. "Ivan Morris's knowledge of the game and the quality of writing, shine out again and again." - Kurt Hirth, Virginia Beach.